The automotive market is filled with options that cater to all types of drivers. Whether you’re looking for a compact sedan, a versatile SUV or a family-friendly minivan, there’s definitely something out there that would be perfect for you. It’s easy for us to say, but our team here at Certified Autoplex understands it can be difficult to narrow down the options since there are so many. That’s why we’ve been posting research pages highlighting various makes and models we have here on our lot. There are quite a few reasons why SUVs have become increasingly popular over the last few years, but one of the main factors is that they’re extremely versatile. SUVs are ideal for adventurous drivers. Whether you’re in the city and out on a country road, SUVs are sure to handle each and every terrain with ease. Drivers also choose SUVs because of the available cargo and passenger space. They’re family-friendly, but they often times get a better fuel economy than the traditional minivan. Jeep is one of the most popular SUV brands in the market, so we’re going to explore more of what the Jeep lineup has to offer. With an average of 300 vehicles to choose from, we’re sure you’ll find exactly what you’re looking for here at Certified Autoplex. It’s important for us to note that our inventory is constantly changing, but for now our Jeep inventory ranges from model year 2013 to 2015. 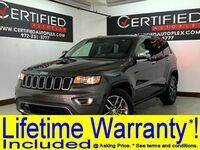 Two iconic models on the lineup are the Jeep Cherokee and the Jeep Grand Cherokee. The Cherokee is the basic, entry-level version of the Grand Cherokee. Both models have seating for up to five passengers. 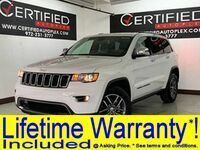 However, the Grand Cherokee is equipped with more top-of-the-line features and performance capabilities. The Jeep Patriot, known as the best priced SUV in America, is also an option here at Certified Autoplex. Drivers will also have the choice of the iconic Jeep Wrangler if they’re looking for a traditional looking Jeep. Key features across the lineup include rear view cameras, Bluetooth capabilities, leather heated seats and parking assist systems. 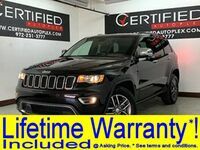 More information regarding the Jeep lineup here at Certified Autoplex is available by contacting our team. Drivers are welcome to schedule a test drive online and get behind the wheel today. 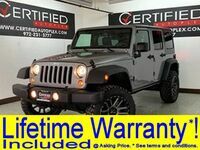 Interested in a Used Jeep Models?